The last week released film Airlift, based on the true event of biggest ever evacuation of 1,70,000 Indian from war zone when Iraq invaded Kuwait in 1990, is being liked by everyone and still has good hold over audience. After showing tremendous performance in the opening week and second weekend, this Akshay Kumar starrer film is flying high on box office. The actor has given best performance of his career till date in Airlift and is being praised for his brilliant work. Airlift has received very positive reviews from critics as well as moviegoers, which created huge buzz of it among more audience and made it to head terrifically. Not only in India but in overseas too, the film is doing very well and reported the business of 35.23 crores from there till its 10th day. At domestic box office, it did the business of 83.50 crores in opening week, comprised with 44.30 crores of weekend and 39.20 crores of weekdays. In its second weekend, Airlift witnessed good jump and raked the business of 19.26 crores, including 4.50 crores of Friday, 6.50 crores of Saturday and 8.26 crores of Sunday. Now the film is running in weekdays and being normal working day it is getting lesser audience in theaters as compare to weekend. On Monday, it minted the amount of 2.53 crores as its 11th day collection. On next day i.e. Tuesday, it witnessed almost similar response and done the business of 2.61 crores as its 12th day collection. 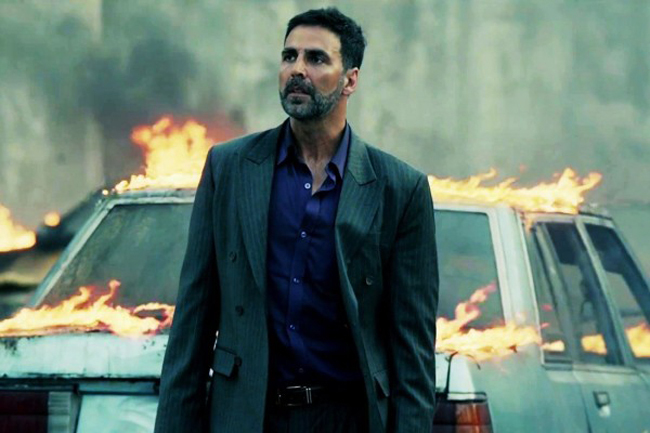 Till the end of the day, total collection of Airlift is recorded as 107.90 crores on Indian box office. Gradually it is heading towards the record of Akshay’s film of year 2014 Holiday.